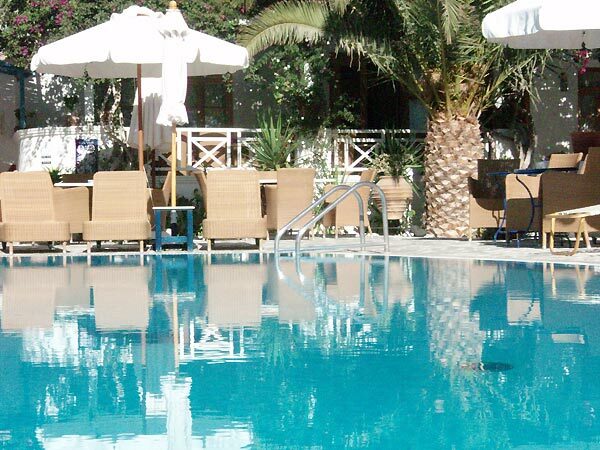 Hotel Matina offers you the perfect getaway in a quiet and flowery garden with swimming pool while being near to all the sightseeings Santorini offers. Santorini is one of the most famous holiday destinations in the world, for combining its unique beauty of volcanic cliffs, black sandy beaches, a mythical history, traditional villages with Cycladic architecture and the most romantic and unforgettable sunsets. 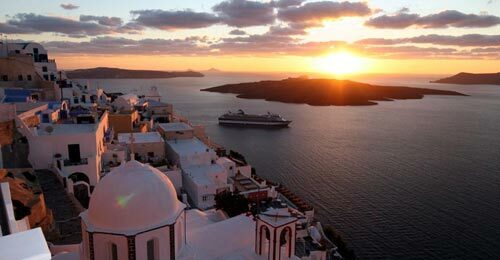 The present-day crescent shape of the island is a consequence of the volcanic eruptions from the prehistoric times. The biggest eruption of the volcano dates back to 1645 B.C. 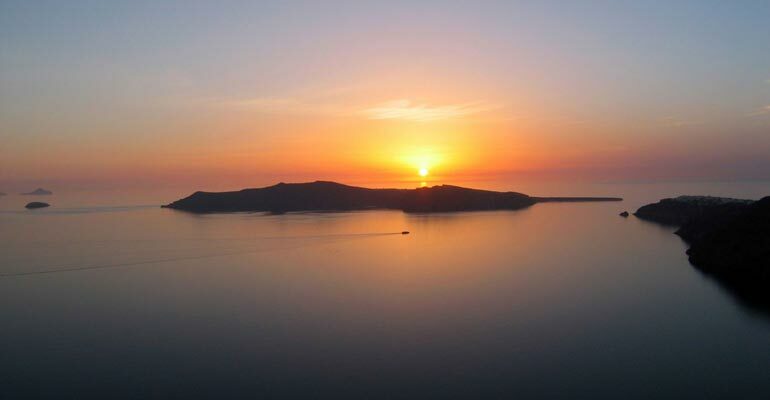 in the late Bronze Age when the center of the island sank and created the beautiful caldera we see today. The population of the island is 15.500 inhabitants who live in 13 villages. Majority of them are either near the sea or built on the cliff. It is strongly suggested that you visit most of them, if not all, since each one has its own style and something different to offer. 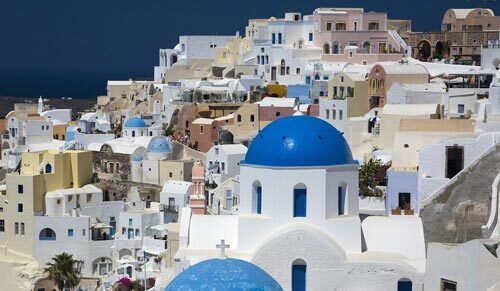 The capital is called Fira and the main port is called Athinios. 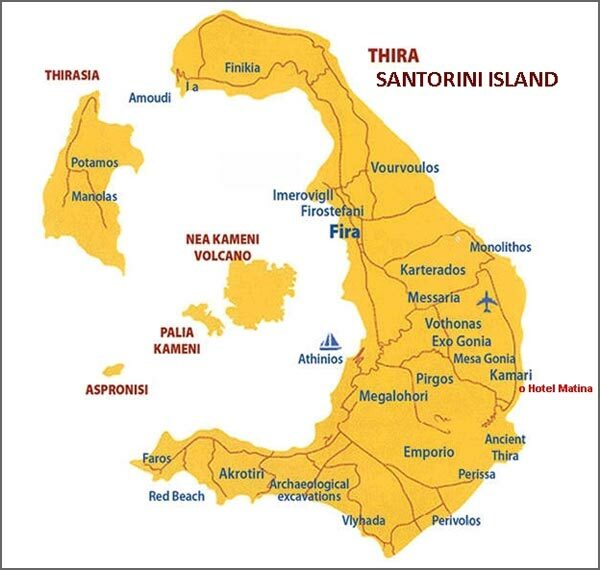 There is also an airport (Santorini Airport - JTR) on the island for easy access. 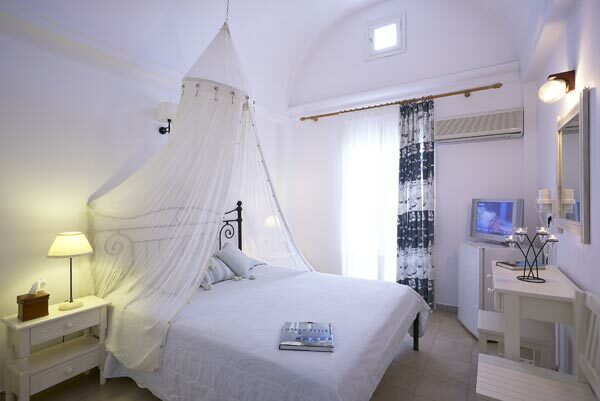 Stay in Kamari, the most famous black sand beach in Santorini with 2 "Blue Flag" awards. 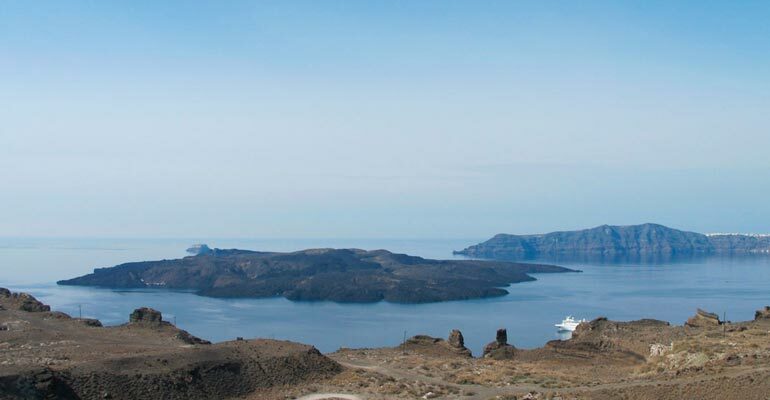 Visit the Archaeological Site of Akrotiri and Ancient Thira and learn the Myth of Atlantis. 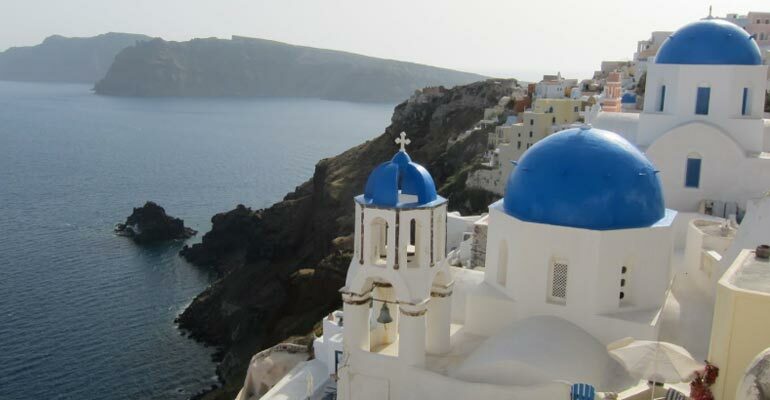 Enjoy a drink or coffee in Fira with the stunning view of the caldera and the traditionally built whitewash houses with blue windows and doors and the blue dome churches, on the cliffs of Santorini. 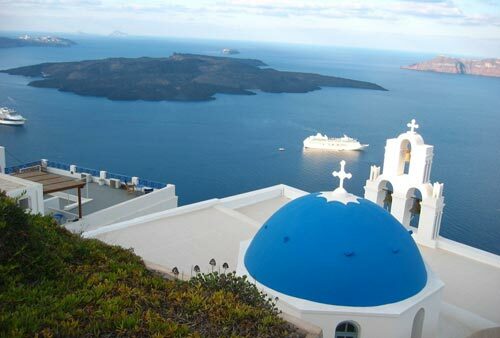 Take a boat trip to the Volcano, Hot Springs and the island of Thirassia. 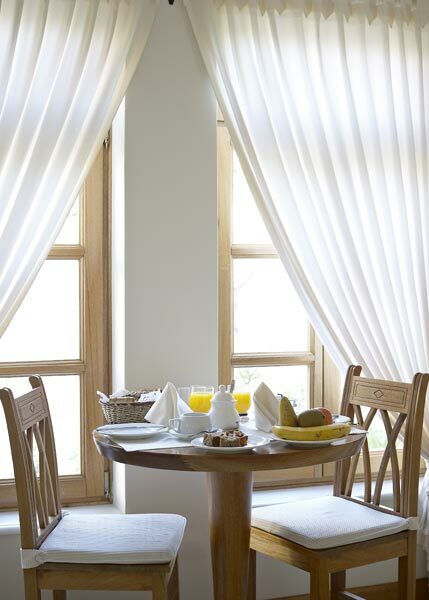 Try local products of Santorini ( sweet cherry tomatoes, white aubergines, kaltsounia, fava beans, pistachio nuts, capers and the famous Santorini wines - Vinsanto, Nichteri and Asyrtiko ). Have a swim in the Red and the White beach. 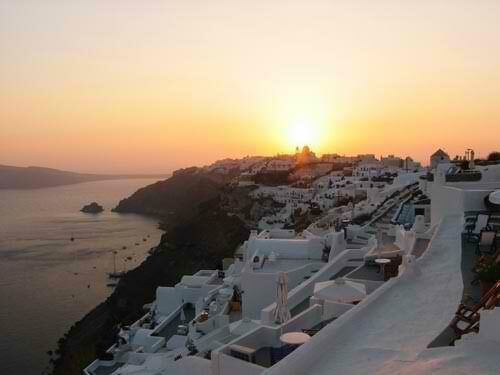 Watch the most famous sunset in the world from the village of Oia. 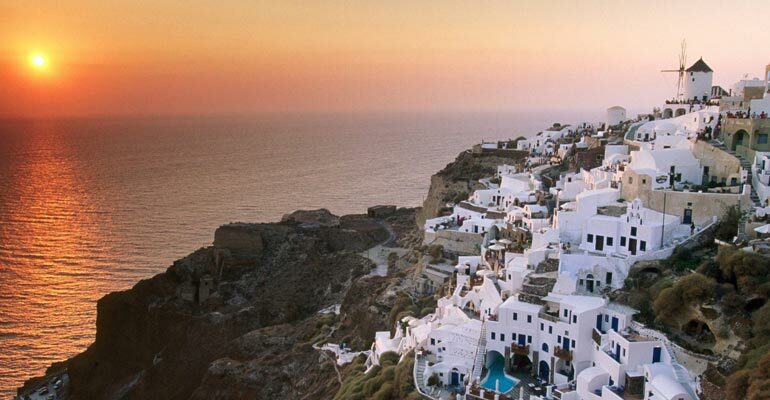 You can discover the magnificent beauty of Santorini, with a tour of the Volcano starting with the legendary story of Atlantis with a visit to Akrotiri, the 3500 years old, historical town of Santorini. 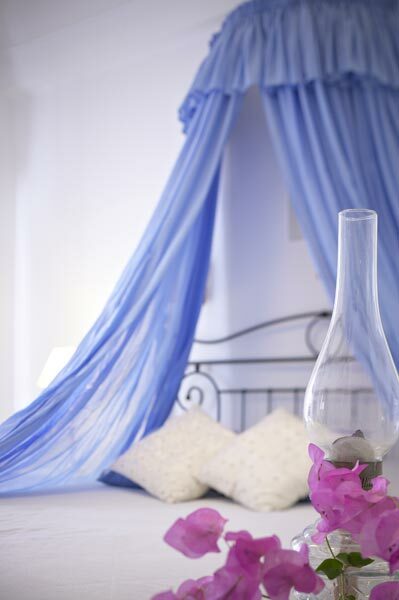 Looking for something to revitalize your body? The tour also goes to the tiny volcanic island of Palaia Kameni for the Hot Springs, famed for its therapeutic thermal mud baths. 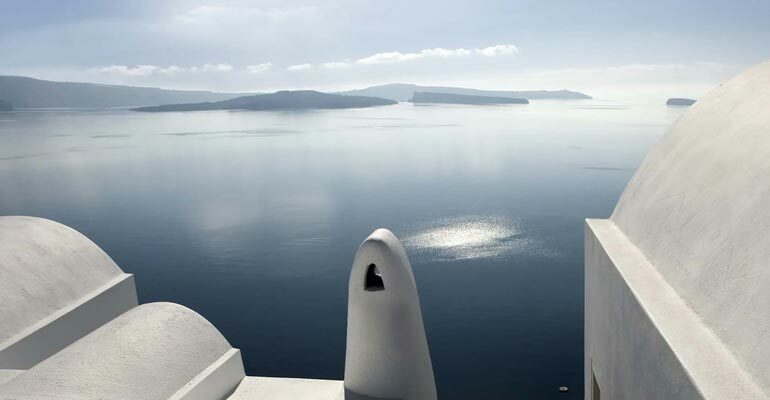 Visit many of our wineries for a taste of the famous Santorini wines. 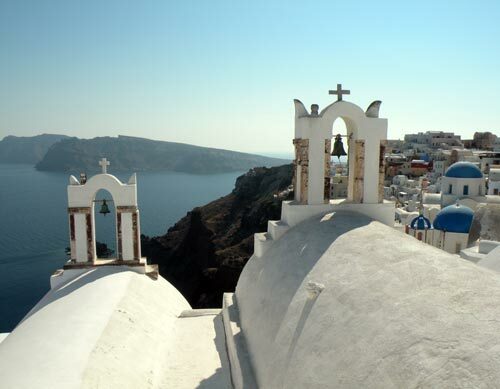 Depending on the dates you are travelling to Santorini, you may even have the opportunity of joining a wine harvest.